I find this headline quite accurate except for one thing – Uber is not part of the sharing economy. I know that it might sound a bit strange, as Uber is one of the more common examples of the sharing economy. But bear with me for a minute while I try to make the case as to why Uber, despite being a business success story, still shouldn’t be considered as part of the sharing economy. Both of these definitions could fit Uber, especially with regards to its UberX service, in which ‘regular’ drivers use their own cars to provide customers with rides. However, I believe that there’s more to the sharing economy than just creating peer-to-peer marketplaces and making a better use of underutilized resources. Take for example the framework Rachel Botsman, the co-author of “What Mine is Yours,” offers. She describes the core values of the sharing economy (or the collaborative economy as she refers to this space) as empowerment, collaboration, openness and humanness. “In terms of the underlying philosophy, it’s about putting these values above the end goal of profit maximization,” she writes. Now, this might sounds like a narrative taken from a hippie lexicon, but to me it puts the finger right on the spot. The economic viability of the sharing economy is important, but so are the human values it promotes. After all, the hope (at least mine) is that the sharing economy will provide us with the much-needed vision of how a more sustainable future or a more humanized way of living would look. To me, enhancing humanness through the sharing economy is not limited to the interactions between the service provider and the user, where we learn to trust strangers or redefine our sense of community. It is also about the values the organizations involved in the sharing economy stand for – we can’t hope to create the change we want to see in the economic system and humanize it if the new players have the same values the the old ones have. Would it really make a difference, for example, if Lending Club will replace Bank of America as America’s top lender -- but will have the same values? And this is where Uber fails. While the company puts a lot of effort in the interactions between customers and drivers, creating seamless and frictionless user experiences, it seems to be failing time and again when it comes to ethics, governance and embedding human-based values into its core business. 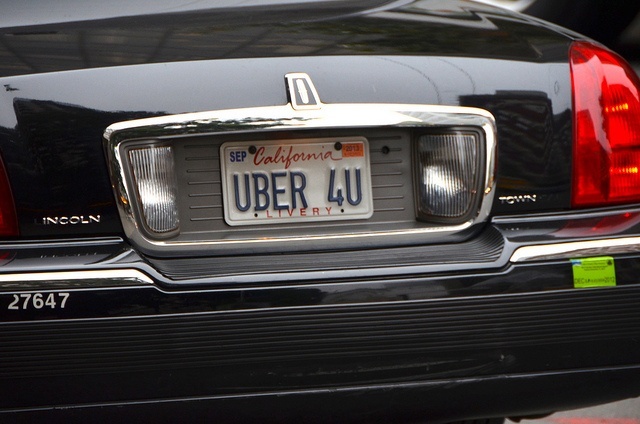 Recent examples include using aggressive, questionable tactics to undermine Lyft and other competitors, allegations of privacy violations of customer data, and the revelations that Senior Vice President Emil Michael suggested the company should consider investigating the private lives of journalists critical of Uber. So, while Uber’s recipe seems to include many right ingredients I believe it still needs to find the way to add a lot of humanness into it. Only when we could say on Uber “Yu, u nobuntu,” it will be rightfully considered part of the sharing economy. Until then it’s just a successful car service business. Raz Godelnik is an Assistant Professor of Strategic Design and Management in the School of Design Strategies at Parsons The New School for Design.